Did you know that there's a right way, and several wrong ways, to reboot (restart) a computer? It's not an ethical dilemma — one method ensures that problems don't happen and a myriad of others are risky, at best. 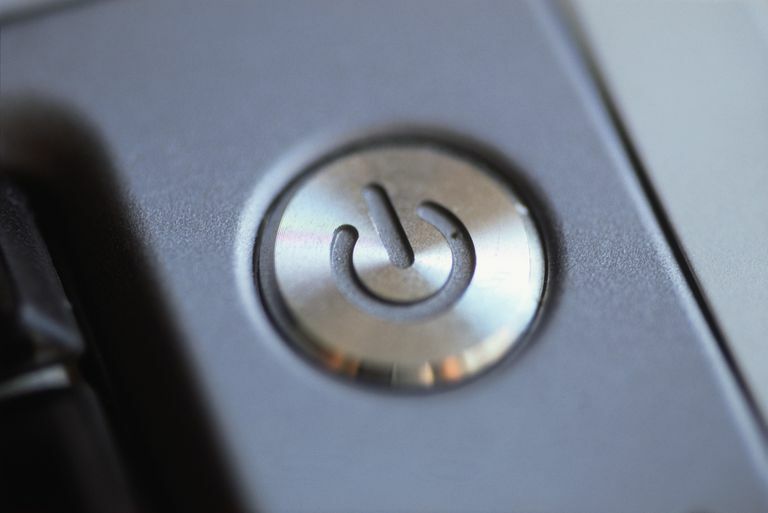 You certainly could reboot your computer by powering it off and on, swapping out the AC power or battery, or hitting the reset button, but each of those methods is a bit of a "surprise" to your computer's operating system. The result of that surprise could be nothing if you're lucky, but more likely it could cause issues from file corruption up to the very serious problem of a computer that won't even start! You might be restarting your computer to get to Safe Mode but a common reason is that you're probably restarting your computer to fix a problem, so be sure you're doing it the right way so you don't end up creating another one. To safely restart a Windows computer, you can usually select the Start button and then choose the Restart option. As strange as it may sound, the exact method of restarting differs quite a bit between some versions of Windows. Below are detailed tutorials, plus tips on some alternative, but equally safe, ways of restarting. Before you get started, remember that the power button in Windows typically looks like a vertical line extending out of a full or almost full circle. Select the power button at the bottom (Windows 10) or top (Windows 8) of the screen. Go to Shut down or sign out and pick Restart. The Windows 8 Start screen functions a lot differently than the Start menus in other versions of Windows. You can install a Windows 8 Start menu replacement to return the Start screen to a traditional looking Start menu and have easier access to the restart option. Select the Start button on the taskbar. In Windows 7 and Vista, choose the small arrow next to the right of the "Shut down" button. In Windows XP, select Shut Down or Turn Off Computer. You can also use the Ctrl+Alt+Del keyboard shortcut to open the shutdown dialog box in all versions of Windows. This is usually only useful if you can't open Explorer to get to the Start menu. Windows 10 and 8: Choose the power icon on the bottom right of the screen to find the Restart option. Windows 7 and Vista: Select the arrow next to the red power button in the lower right-hand corner of the screen, and choose Restart. Windows XP: Choose Shut Down from the menu and then Restart, followed by OK.
You can also restart Windows through Command Prompt using the shutdown command. ​The "/r" parameter specifies that it should restart the computer instead of just shut it down (which is what happens when "/s" is used). The computer will automatically restart shortly. The same command can be used in the Run dialog box, which you can open via the WIN+R keyboard shortcut. You can read more about the shutdown command here, which explains other parameters that specify things like forcing programs to shut down and canceling an automatic shutdown. "Reboot" Doesn't Always Mean "Reset"
Be very careful if you see the option to reset something. Restarting, also known as rebooting, is also sometimes called resetting. However, the term resetting is also often used synonymously with a factory reset, meaning a complete wipe-and-reinstall of a system, something very different than a restart and not something you want to take lightly. See Reboot vs Reset: What's the Difference? for more on this. It's not just Windows PCs that should be restarted in a certain way to avoid causing issues. See How to Restart Anything for help rebooting all kinds of technology like iOS devices, smartphones, tablets, routers, printers, laptops, eReaders, and more.